"The Black Knight" uses a large dual-diaphragm, side-terminated, condenser capsule. It possesses a detailed and natural musical sound with transparent highs, smooth midrange with a subtle vocal presence bump at 3kHz, flat low-frequency response and a unidirectional cardioid polar pattern. The acoustically open transducer head minimizes internal resonances and reflections so that even the tiniest sound details are authentically captured. An integrated swivel-mount allows for fast and handy positioning of the transducer head. The internal phantom powered preamplifier's Class 'A' fully discrete transformerless circuit provides very high output, flat audio-response and ultra-low distortion and noise. Gold-plated contacts on the output connector provide a noise-free connection. 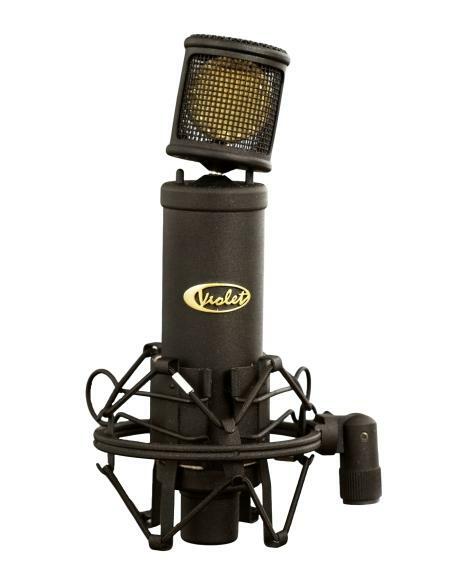 This microphone is in a totally different league than most other products at the same price point. The Black Knight is a very accomplished and well-balanced design, offering real value for money, and would make an excellent first mic for anyone setting up a home studio on a reasonable budget, easily delivering quality results from any source. "The Black Knight" is based on dual diaphragm large size true electrostatic capsule. Highest quality 6-micron Mylar film active diaphragm is sputtered with our special formula of gold mixture, and tensioned on precisely made brass backplate. It provides faster transient impulse response, minimum sound coloration, better low frequency response, and lets capsule to handle louder sound pressure levels. Each capsule is carefully checked for all parameters and measured in an anechoic chamber for optimum of performance. Unidirectional cardioid polar pattern effectively reduces ambient studio noise, but the frontal incidence angle is optimally wide. Integrated head's swivel mount lets you possibility to position microphone head without stand adjustments. The microphones head-grille is made of brass mesh as very open acoustic filter that minimizes internal resonance effects and keeps high frequencies and sound transparency unaffected. Please us studio pop filter to protect diaphragm if you use it on vocals. The internal solid state preamplifier is based on class-A fully discrete transformer-less electronics circuit, built using the best quality selected components. The circuit is designed under the highest audio standards and provides linear audio frequency range, high dynamics, ultra-low self-noise, and very low audio distortion of all types. "The Black Knight" requires quality and stable 48 V Phantom power. It is available from external microphone preamplifier and mixing console inputs or from separate phantom power supply units. Some units, though rated as 48 volt sources, may supply inadequate and/or unstable phantom power, which can result in distortion and degraded performance. Please check your phantom power source under real microphone load. "The Black Knight" is coming with compact external elastic shockmount. 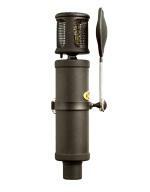 Rugged microphone construction effectively reduces stand rumble, outside infrasonic interference and mechanical shocks. The large external elastic studio shockmount is available as option. We recommend using of our audiophile quality microphone cables with gold plated contact connectors to minimize external noise, signal loss and maximize contact quality. The cables are available as option. 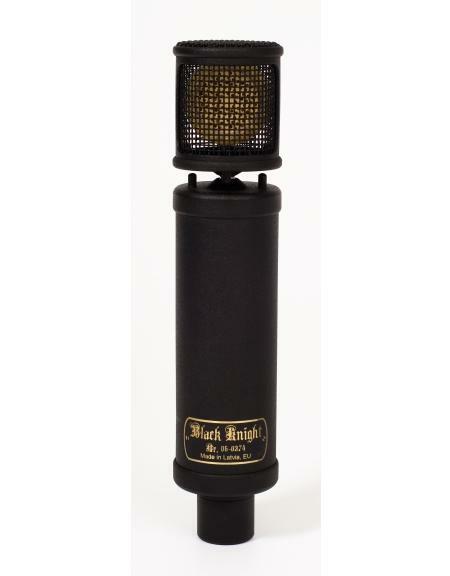 Under the special order "The Black Knight" microphones are available in matched stereo pairs to provide balanced stereo recordings. "The Black Knight sounded great on anything I put it in front of. 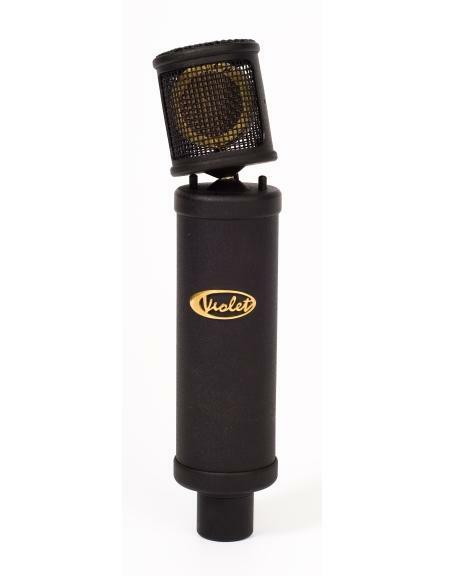 The swiveling head is the most convenient feature I've ever seen on a mic." 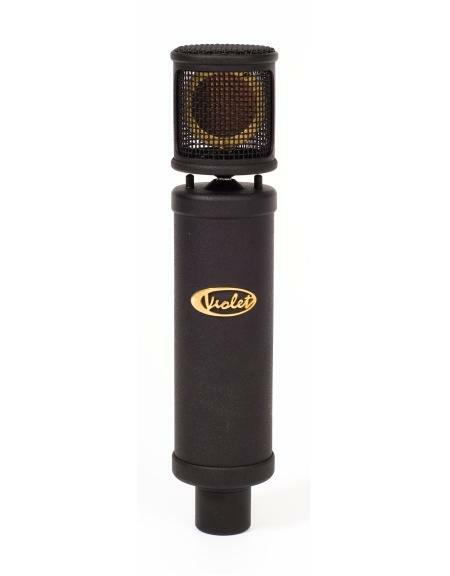 "If you own a home or project studio, Black Knight would be a great choice for your primary vocal mic (but you'd get the added bonus of it being great on almost any source)." 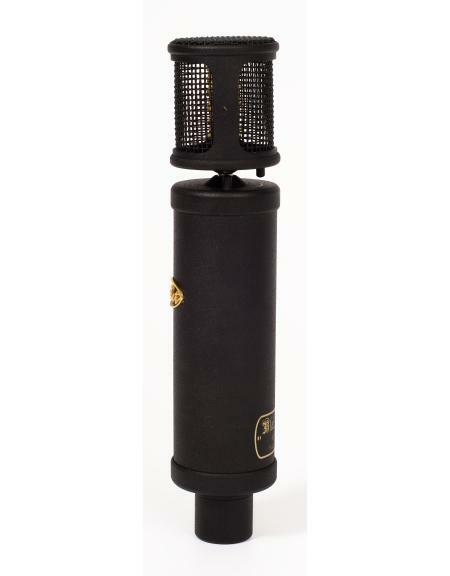 "The Black Knight" microphone is designed for the recording studio needs. 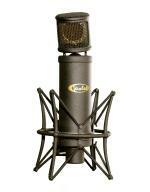 It is capable of capturing vocal, piano, guitars, drums, percussion, strings, wind and many other sound sources. 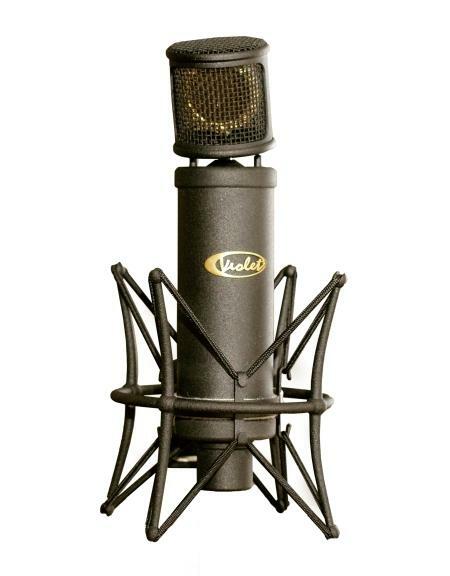 The microphones can be successfully used in professional sound reinforcement systems, in broadcast and TV studios, in movie and video industry, project studios and home recording, and many other applications. 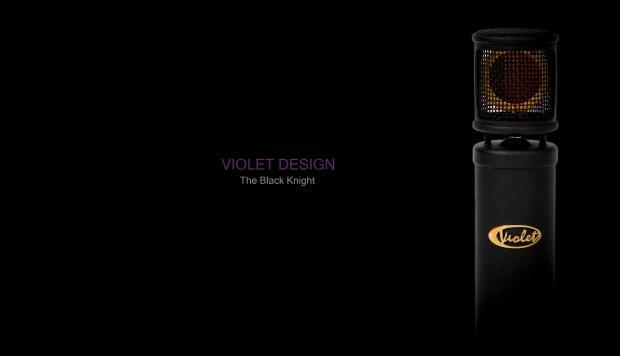 "The Black Knight" microphone has a very detailed and uncolored sound. 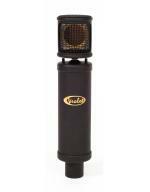 It is perfect for overheads, acoustic guitar and many other instruments as well as vocal applications. The swivel mount head allows for easy minor re-positioning, without adjusting the stand. It is an excellent solution for broadcast studios, film and video production, sound reinforcement and other professional applications. 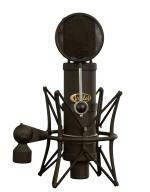 It has a very open, single layer head grill so use of a pop-filter or foam windscreen is recommended when working the microphone closely. VOCALS "The Black Knight" is great on vocals. Use them 3 to 15 cm from capsule to get best results. Use studio pop filter of foam windscreen to additionally protect capsule diaphragms. PIANO "The Black Knight" gives excellent results on piano. Use a pair for stereo recording. There are many methods with close miking, distance miking and combined miking. The result depends highly on piano player and instrument individuality and room's acoustics. The right microphone placement is the most important factor. The best method is to find it by your own ear - go and listen. ACOUSTIC GUITARS "The Black Knight" is giving excellent results on both - metal string acoustic guitars and classical nylon string acoustic guitars. Right placement is the most important factor again. We recommend beginning with facing the microphone to guitars' neck, where it joins body, in some 10 cm distance from it. Use a pair or more microphones for stereo recording. ELECTRIC GUITARS "The Black Knight" gives excellent results for all - dynamic and bright clean amp sound, for aggressive lead guitar overdrive and distortion sounds, and for warm jazzy tones recording. Place the microphone at 5 to 10 cm from the center of a loudspeaker to get more upper frequencies, or move the microphone toward the cone edge to get fuller tone with more mid and low frequencies. We recommend orienting a microphone diaphragm under some angle with a loudspeaker diaphragm to avoid low frequency peaks. Larger distance from the loudspeaker will add more air and room acoustics and soften high frequencies. There are endless methods of combining close miking, distance miking, miking from a backside of an open speaker box, experimenting with different room acoustics, etc. DRUMS "The Black Knight" fast impulse transient response, crystal clear highs and loud SPL handling make it excellent for the drums recording, especially for snare drum, overhead and hi-hat. The advisable distance is 5 to 10 cm from a drum rim, but you can try different positions and angles. A bigger distance will add more air, environment and naturalness. A smaller distance will increase the low frequencies and separation from other sound sources. You can use a pair as overhead microphones. There are different methods to record drums - from one pair of stereo microphones for right balanced drum kit in an optimal acoustics room until several microphones on each drum kit unit. PERCUSSIONS Like the drum recording "The Black Knight" microphone gives transparent, clean and real results in all kinds of percussions recording. The distance of 25 cm is the best to start. Closer distance will add more details, tone and separation. Larger distance will add room ambience, naturalness and blending with other instruments. BOWED STRINGS "The Black Knight" is an excellent choice for recording all kinds of bowed string instruments. The distance of 25 to 40 cm above the instrument bridge is preferable for violin and viola. The distance of 10 to 20 cm in front of bridge is right for double bass or cello. 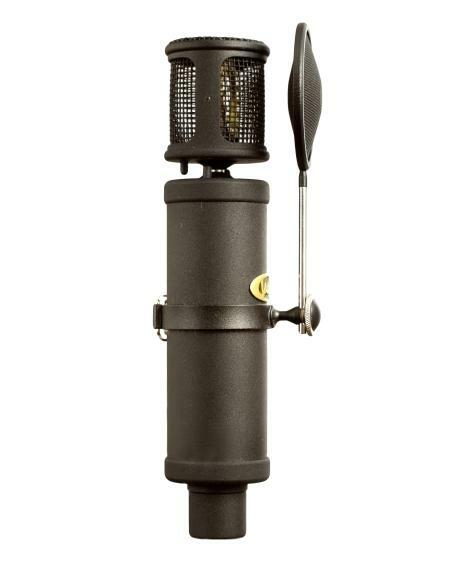 BRASS AND WIND The smooth, natural tone of "The Black Knight" microphone makes it the best choice to record saxophone and other brass and wind instruments. For the clarinet and the soprano saxophone use the microphone 10 to 30 cm above the horn and lowest pads. For the flute place the microphone above the middle of the instrument. Use 10 to 50 cm distances for the trumpet, the trombone, the French horn, the tuba and other brass instruments.